Being an "author dad" at my son's school (my youngest son's -- my oldest is in high school, and parents don't seem to figure into the equation quite as much), I occasionally get asked about books for young, midgrade or YA readers, are there any titles I could recommend, especially when said reader is done with X title, or Y series?, etc. Occasionally, I am not even stumped when I get asked this. Hopefully, this list will help round out the list of your reader who wants to know "what's next?" after finishing the latest Percy Jackson or Wimpy Kid offering. 1) "Yellow Eyes" by Rutherford Montgomery. Montgomery was a writer and ranch hand from the turn of the century -- the previous one -- and here writes an unforgettable classic about the closing in of the west told from the point of view of a cougar. Yellow Eyes escapes hunters and dogs, and grows from a cub into adulthood, in what reads like a vastly fiercer Disney tale. It permanently shaped my views on wildlife and wilderness. I re-read it as an adult, and it still holds up. I need to read it again. 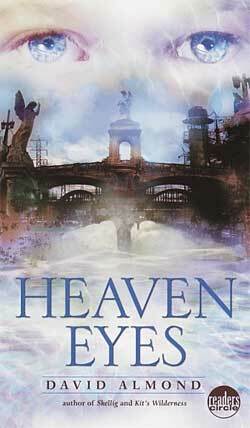 2) "Heaven Eyes" by David Almond. In keeping with our initial "eyes" theme, this work by the British, and always worthwhile, Almond isn't quite as well known as his prize-winning "Skellig" (another fine read), but presents a somewhat gothic, spooky twist on various Huck Finn themes, as two orphans flee their captivity on a raft, into a post-industrial wasteland, where they meet their titular host. And then the journey really begins. 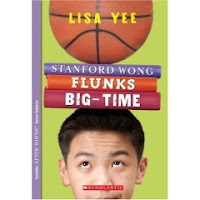 3) "Stanford Wong Flunks Big Time" by Lisa Yee. Set just down the 210 freeway from -- and several decades later than-- Kidd's book, SoCal-based author Yee here spins a sequel to her better known (and also recommended) "Millicent Min, Girl Genius," wherein Min's friend Stanford finds himself in need of tutoring the summer before middle school, so he can make the basketball team. His tutor? The much-dreaded Min! A lively blend of sports, hormones, and happily mingled SoCal cultures. Fun stuff, whether it's summer vacation, or not. 4) "The Great God Pan" by Donna Jo Napoli. Perhaps the "oldest" book on this list, in terms of intended readership, Napoli takes two unfinished Greek legends -- that of the nature god Pan (rumored to be the only one among the pantheon whose death was noted by humans), and the very mortal princess Iphigenia, slated to be sacrificed by her father, so he can get his war on. The legends have various twists on whether her father, Agamemnon, was ultimately successful. Here, Napoli provides one more. Full of yearning, and a broken heart or two, it's a great next step after your reader has finished all the "Percy Jackson" books. And maybe experienced his, or her, first crush. Honored to have made the list!